Summary: Akimoto Yae is a cheerful – and sometimes exceedengly loud – girl who secretly always watches her sempai Ayase, who rides the same train as her. For some reason, Ayase always sits in the same seat, holding the same book, opened at the same page. His hands never try to turn to the next page. One day, Ayase accidentally drops the book, which comes as a chance for Akimoto to talk to him. Much to her surprise, he isn’t interested in having the book returned, and gives it to her. 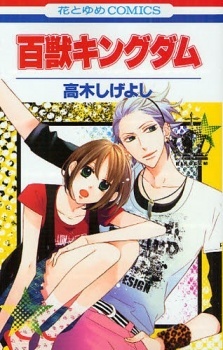 As Akimoto tries to overcome her mild aversion for printed texts – which causes her to sleep if she doesn’t read the lines aloud – and read the book, she hopes to get closer to Ayase, which has reasons of his own to be aloof. 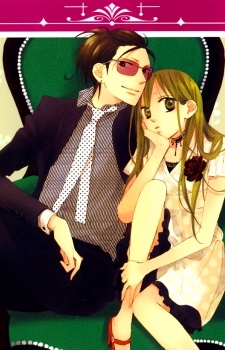 Summary: Iori and Nachi are the “perfect pair” of the bodyguard agency Shelter. Partners since childhood, they bicker constantly, but when the latest mission threatens to separate them, is that really okay…? Summary: Riko Kunimi is trying to lead a normal high school life when Ran Tachibana bursts into her classroom carrying a gun and tells her that her life is now his. Ran, the richest, most powerful 17-year-old in Japan, wants her as his wife, and he’s not taking no for an answer! Kiyoharu was trying to nap when a girl kissed him because she thought he was dead. He later learns that Touko, the girl, is always kissing someone in response to not being able to breathe and feeling suffocated. Kashuu hates being touched because of his past experiences. 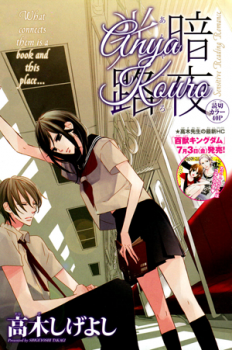 He will only let Sayuri-sensei, the biology teacher, treat his wounds. To him, Sayuri-sensei’s touch is precise and practical without bring up bad memories. Summary: Taiga Shishio, the Student Council President, is a notorious tyrant. And yet, the only person that can stop him is his faithful Vice President Momoko. School, love, and trouble collide in this amazing story of student leadership! Nanao came from a rich family before their business failed. Now the only hope for her family to pay off their debts is if she can cement a marriage with the prestigious Takatsuki family within a week. How will Nanao overcome this problem when one of the three eligible Takatsuki men is her former arrogant schoolmate, Yoshito, who completely distrusts people? And did we forget to mention that Nanao is already the ninety-ninth candidate for the position of future wife? !